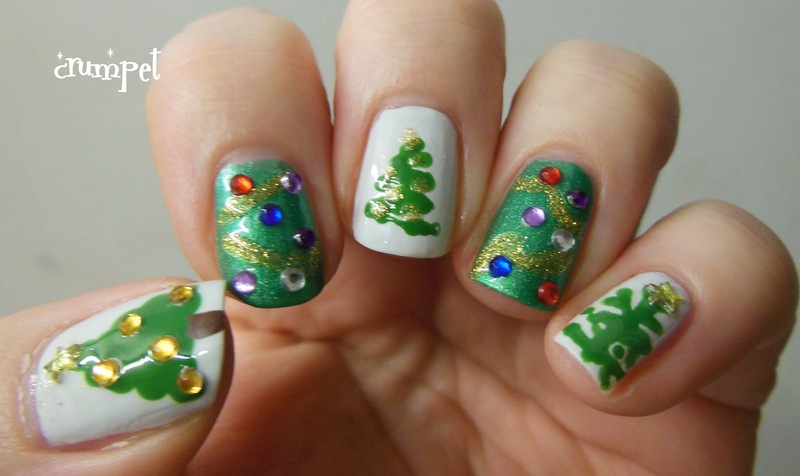 So, let's start with the index and the ring fingers. 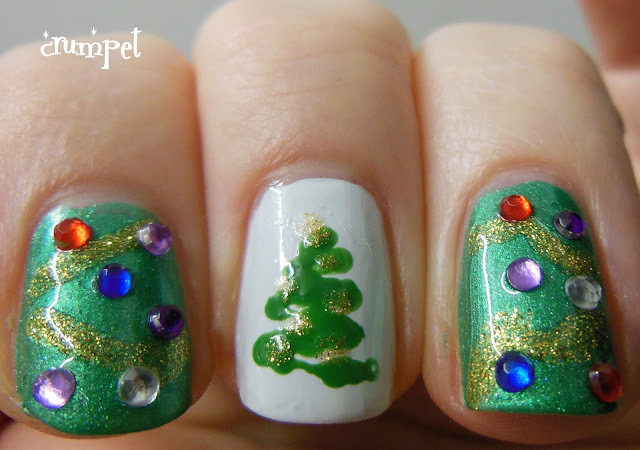 This is 2 coats of Lacquerhead Polish Green Goddess which you first saw HERE. Once it was dry I used an Art Deco Gold glitter striper to add my tinsel. Once that was dry, I applied a thick layer of top coat and put my little christmas lights on! 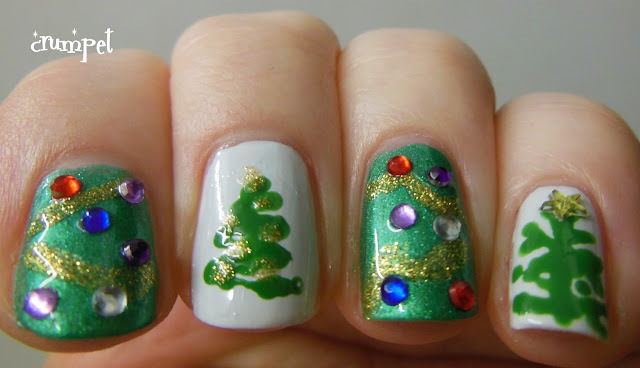 I have to say, chasing those pieces of glitter around my desk with a pair of giant tweezers was soooooo frustrating! They kept pinging away like tiddlywinks lol. 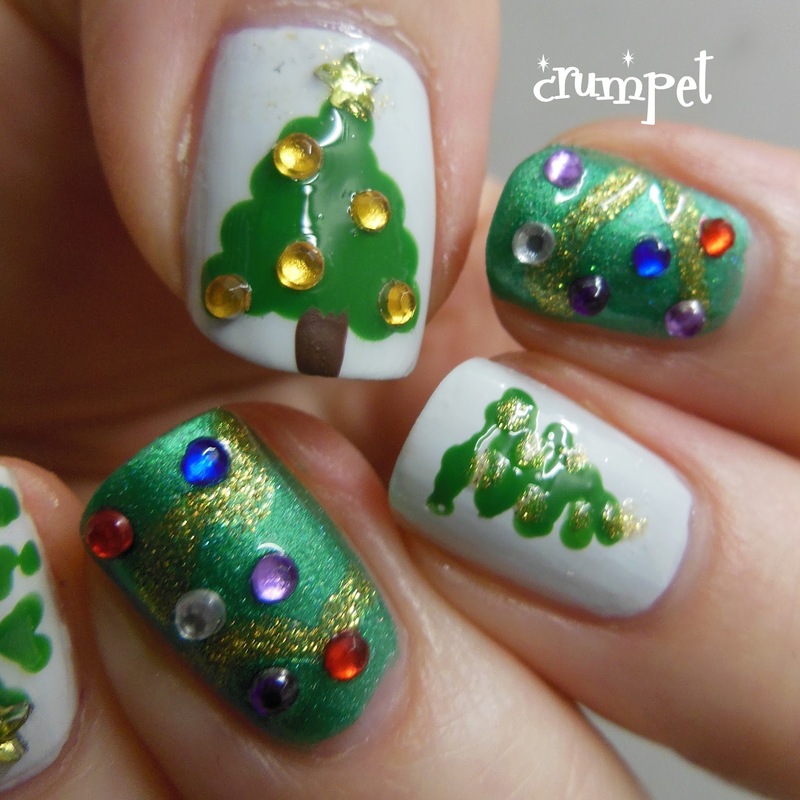 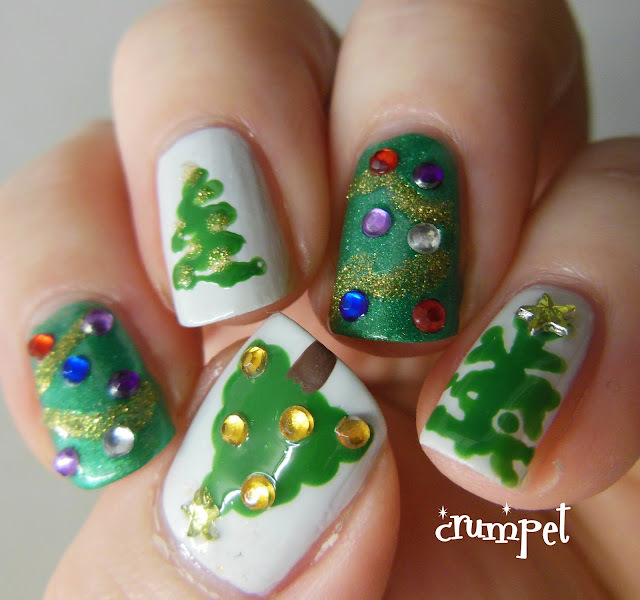 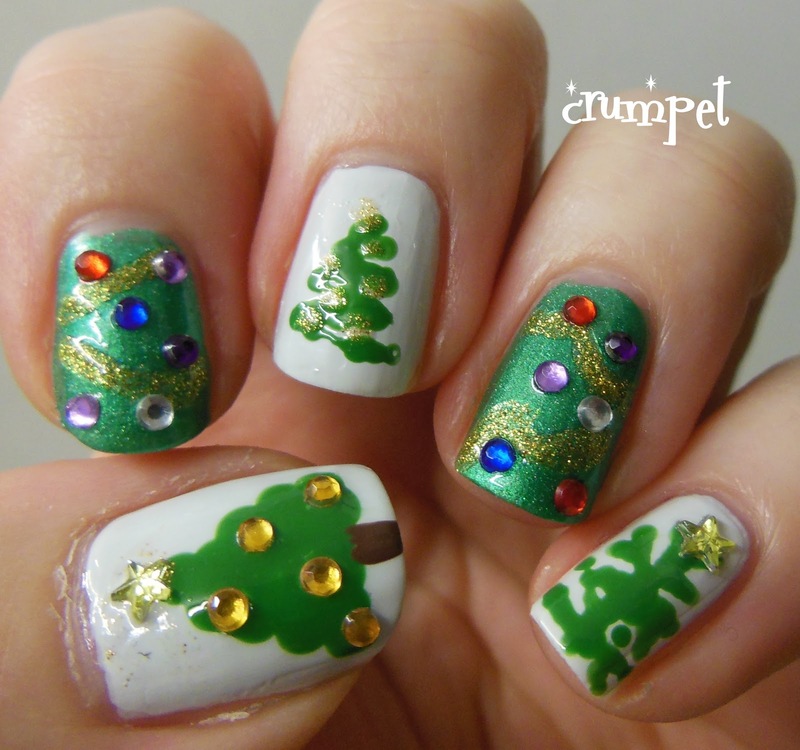 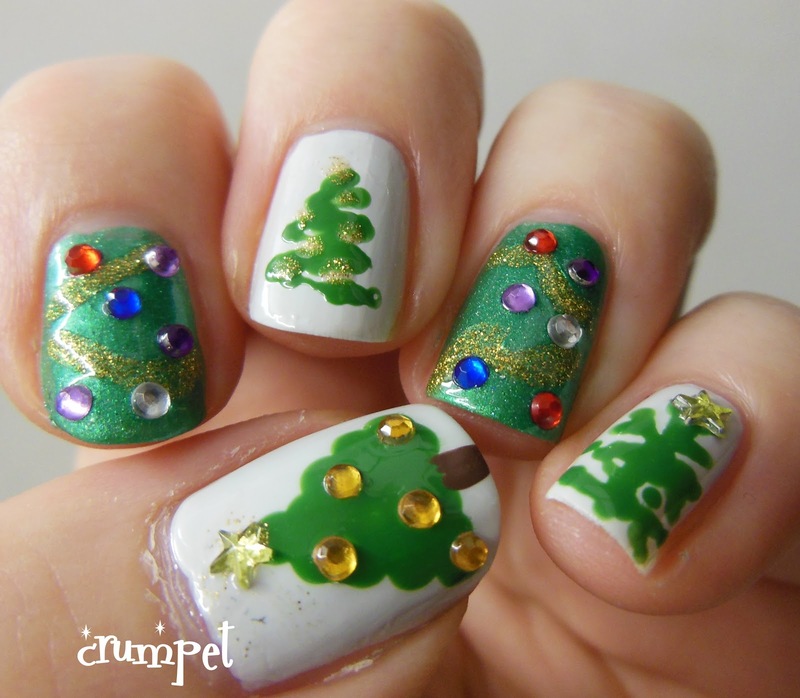 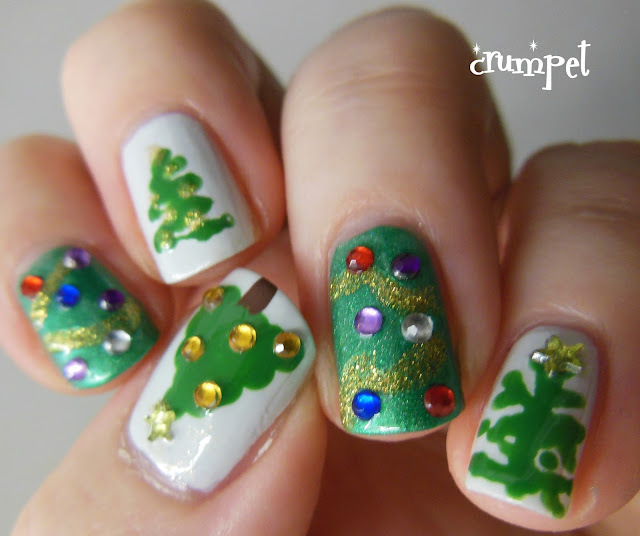 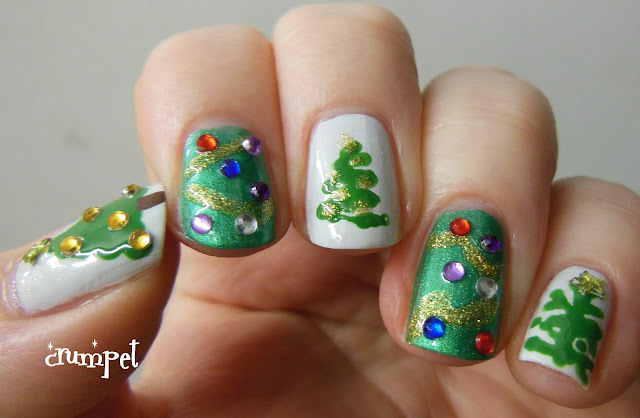 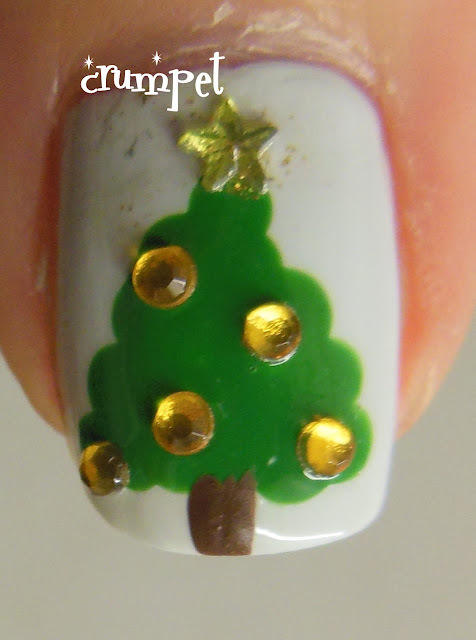 The other nails are all on a base of OPI My Boyfriend Scales Walls with CG Starboard for the tree. 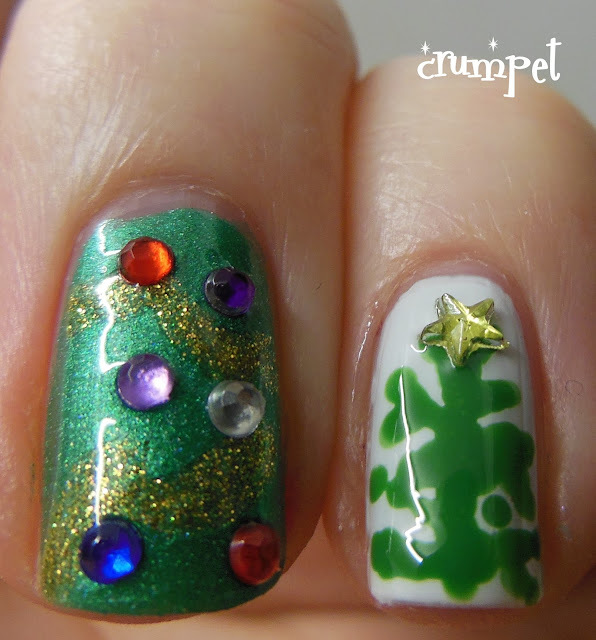 The thumb is a dotted pyramid, with a gold glitter star and a few gold beads. 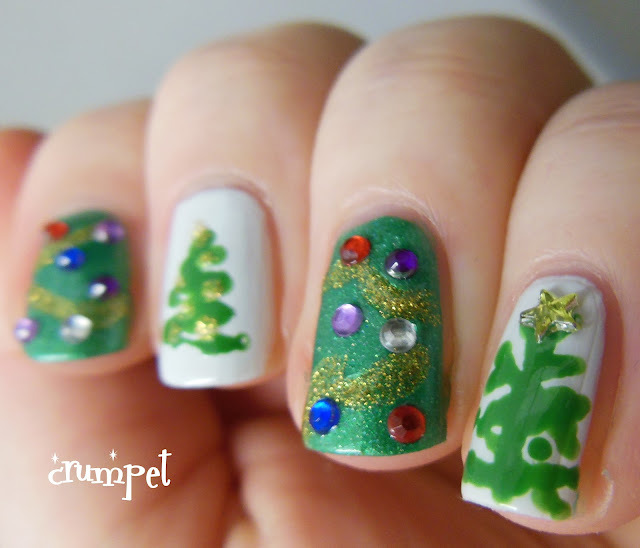 On the middle finger, I was going for those trees that are cone shaped - you often see them on reception desks and the like - and the little finger was just some vague branch shapes lol. 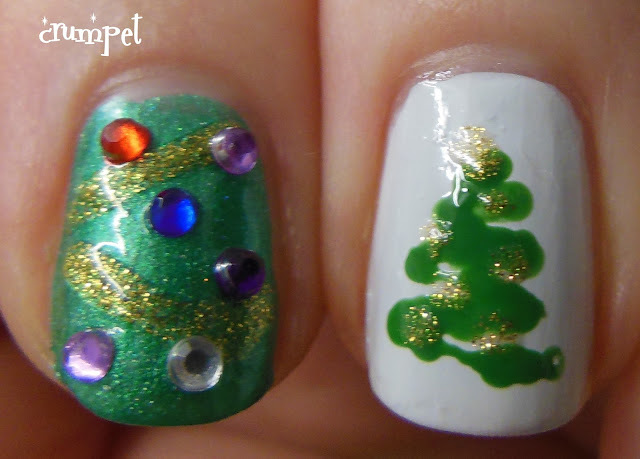 Overall, I really enjoyed doing this mani, and I like the skittle effect.